What is this project called again? The formal title of the grant is “Data to Action: A Secondary School-Based Citizen Science Project to Address Arsenic Contamination of Well Water”. Informally, we refer to it as “All About Arsenic”, hence the title of this website. 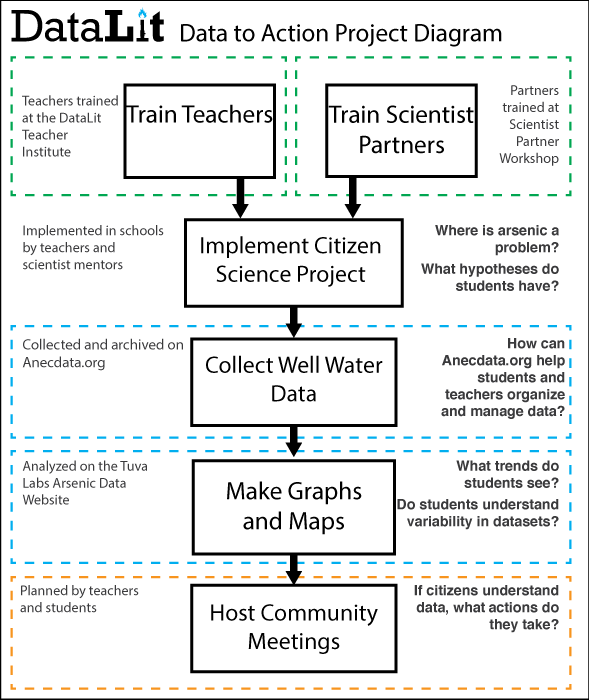 Teachers will integrate monitoring well water for arsenic into new or existing watershed curriculum. Students will collect well water from their tap and/or distribute project information and water collection containers to community members. Teachers will ship samples to the Trace Element Analysis Core at Dartmouth and receive data in return. Parents/community members will receive data reports on their samples; anonymous data will be uploaded into our online data portal, Anecdata.org. Students will learn to use Tuva Data Literacy software to interpret and display data for sharing with their communities. Teachers and students will host a public meeting and share data with parents and community members. Scientist Partners are encouraged to participate at every level, particularly with data analysis. What’s with all the different websites? 1) All About Arsenic has curriculum ideas, sample collection instructions, resources for samplers, and links to Tuva and Anecdata. 2) Anecdata.org is a citizen science platform used to collect, manage, and share data. Each sample that’s collected as part of the project is registered on Anecdata, anonymized, and added to a dataset that can be used for analysis. 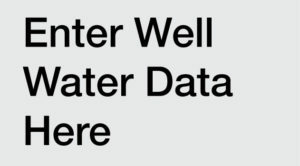 Individuals can look up their well water test results on Anecdata by searching for their sample number. 3) Tuva is a data literacy site that offers lessons, curriculum activities, and loads of datasets for teachers and students to play with. Additionally, all the arsenic data is being downloaded from Anecdata and uploaded to Tuva on an All About Arsenic-specific platform just for students and teachers involved in the SEPA grant. 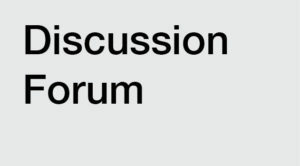 4) Lab Central has workspaces that allow participants to create or join forum discussions, share pictures, and make announcements. Research reported on this website was supported by the National Institute of General Medical Sciences of the National Institutes of Health under Award Number R25GM129796. The content is solely the responsibility of the authors and does not necessarily represent the official views of the National Institutes of Health.